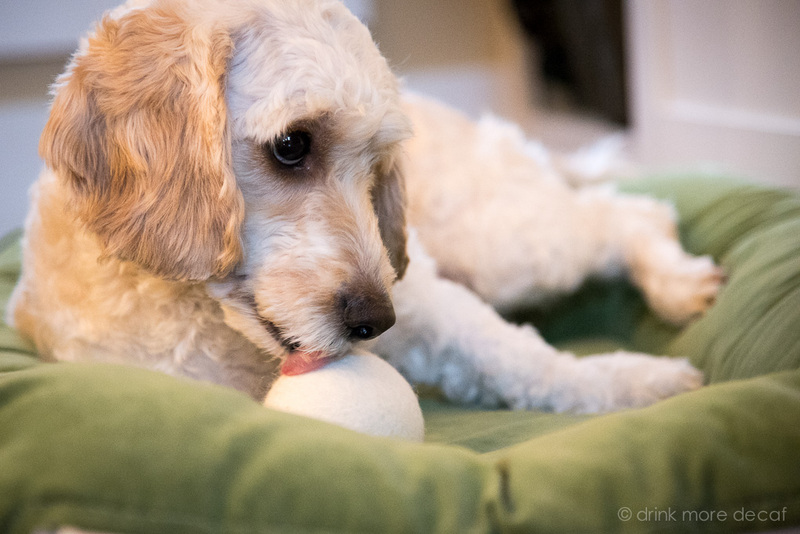 Wool Dryer Balls – As Dog Toys? Static – please, please go away! Yes, it’s winter. I know. But I can’t stand stiff, static-filled clothing. Since most dryer sheets aren’t safe for those of us lucky individuals with a corn-allergy (ahem), we just kind of live with the static. 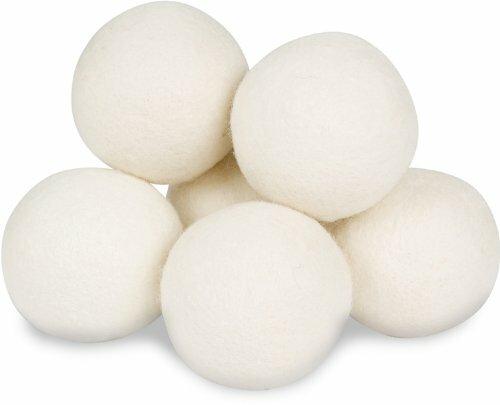 I was aware of dryer balls as a concept but hadn’t tried them, and besides, I thought they only came in plastic. Since I wasn’t eager to listen to non-stop thumping, I’ve ignored that option. As it turns out, dryer balls are also available in WOOL! The dryer balls are JUST wool – nothing else. Since I have no issues with wool sensitivity, I thought we’d give them a try. When we opened the package, our dog Frodo perked up, and went into his little beggar’s stance. He WANTED what was in the package. Dave held up one of the dryer balls so Frodo could smell it, and that’s all it took. He kind of went nuts. It’s a little tough to see in the picture, but he rubbed it all over his head. Really, he is a very intelligent dog, you’ll just have to take my word for it. 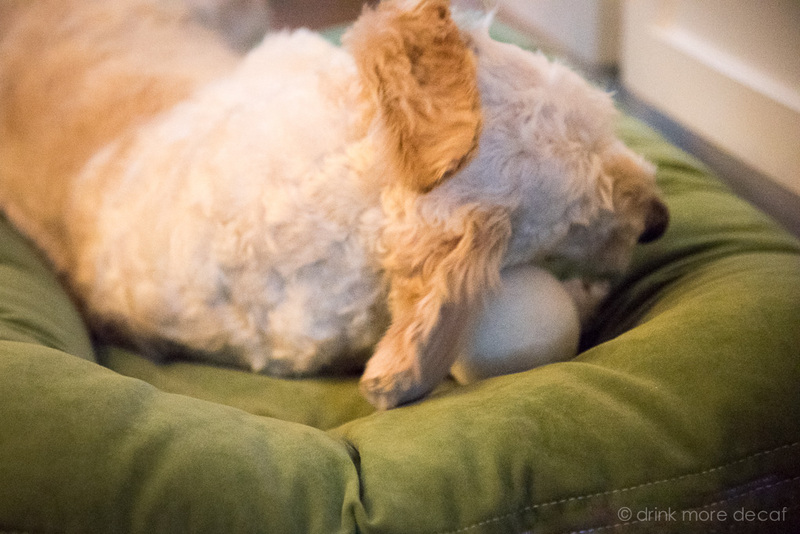 So of course, being good doggie parents, we let him have one to play with – I mean, it can’t be any worse than the polyfill he ends up eating from his toys. So far, Frodo hasn’t managed to ingest any of the wool, so it’s already lasted longer than most of his stuffed toys – and he still totally digs it! I much prefer throwing a wool ball around the house for him to fetch than a tennis ball, so I’m a little excited he is so happy about his new “toy”. And as far as what we purchased them for? Yes, they do actually reduce static and make clothes dry a little faster! So yes, we’re giving 4 paws up for Wool Dryer Balls in our house house!